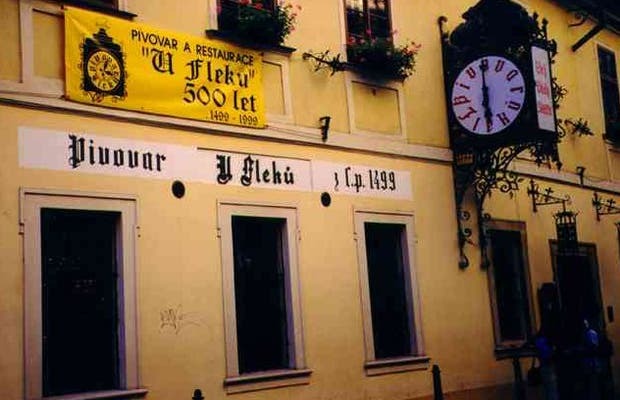 The U Fleků Brewery and Restaurant has made its own beer since 1499, and by the way it is very good. They have live music in the old style, a good menu and excellent service on top of that. This traditional 'pivovar' is a must, just go and say 'pivo, prosím!' (Beer, please! ), And do not forget to try the strudel! Claims to be the oldest pub in Prague. The default beer is a dark lager. You will be given a glass as soon as you sit down and as soon as you finish it another arrives. Apparently they serve around 2000 glasses a day. To keep you entertained there are itinerant musicians and a guy pushing shots of mead or bercherovka. Excellent night out!